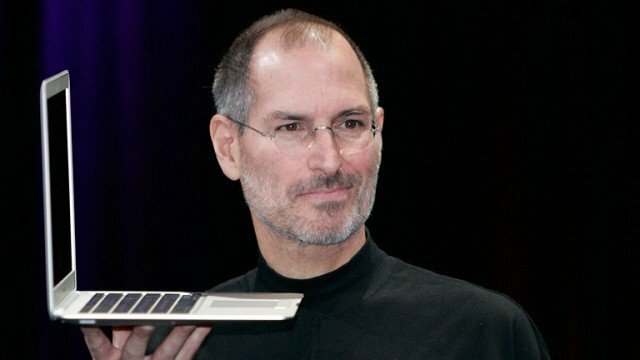 Steve Jobs biopic will be made by Universal Pictures after Sony’s departure from the project last week. The studio is reported to have paid more than $30 million for the title, according to the Hollywood Reporter. Michael Fassbender is to play Steve Jobs in the film, based on Walter Isaacson’s biography of the late Apple co-founder. The real-life drama will be directed by Danny Boyle, from a script by fellow Oscar-winner Aaron Sorkin. Sony Pictures had bought the rights to produce a film based on Walter Isaacson’s biography following Steve Jobs’ death in 2011. Director David Fincher was initially set to direct but pulled out of talks in April. A number of big-name actors have also been attached to the film, among them Leonardo DiCaprio and Christian Bale. Steve Jobs was a charismatic figure and a master at presenting Apple’s latest products. But his career took dramatic turns. After founding Apple with Steve Wozniak in the late 1970s, Steve Jobs was driven out of the firm in a boardroom coup in the 1980s. A decade later he was bought back when Apple ran into trouble and presided over an era when it became the most valuable US company and producer of the highly successful iPhone. Steve Jobs died in October 2011 at the age of 56 after a long battle with pancreatic cancer.